A cell block is seen at the Abu Ghraib prison. AN AL-QAEDA FRONT group today claimed brazen assaults on Iraqi prisons that freed hundreds of militants including top leaders, killed over 40 people and threatened to erode confidence in the government. Spiralling violence in Iraq has killed more than 620 people so far in July, making it the deadliest month of a year in which over 2,800 have died in unrest, according to AFP figures based on security and medical sources. “The mujahideen (holy warriors), after months of preparation and planning, targeted two of the largest prisons of the Safavid government,” said a statement signed by the Islamic State of Iraq and the Levant, using a pejorative term for Shiites. The statement said “hundreds” of inmates, among them 500 militants, were freed in the attacks. It also said the operation was the final one in a campaign aimed at freeing prisoners and targeting justice system officials, which was called for in an audio statement attributed to the group’s leader, Abu Bakr al-Baghdadi, last year. “Dark days are waiting for Iraq. Some of those who escaped are senior leaders of Al-Qaeda, and the operation was executed for this group of leaders,” a senior security official told AFP on condition of anonymity. “There were riots and then the prisoners took control of some guns and called the groups that were waiting outside,” said the security official. 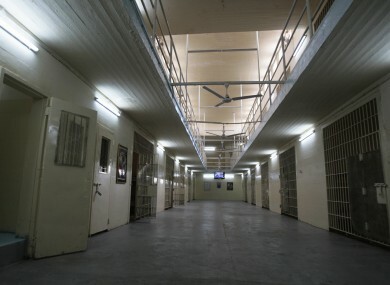 Officials have declared “a curfew around the two prisons, where ongoing search operations are being conducted,” justice ministry spokesman Wissam al-Fraiji told AFP. MP Hakem al-Zamili, a member of parliament’s security and defence committee, confirmed senior Al-Qaeda members had escaped, and expressed fear they would return to haunt Iraq. “Most of the inmates who escaped from Abu Ghraib prison were senior members in the Al-Qaeda organisation and (had been) sentenced to death,” Zamili told AFP. “The escape of prisoners in this organised way from the biggest prisons in Iraq is another sign of the deterioration of security in Iraq in general, and Baghdad in particular,” said Hamid Fadhel, a Baghdad University political science professor. “It seems that the security situation is the victim of the political conflict in Iraq today,” he said, referring to long-running political disputes that have paralysed the government’s work. The assaults and mass escapes “affect people’s trust in the security forces and in the government, because people will start to worry that the criminal can commit a crime, go to prison, and then get out easily,” said Ali al-Haidari, a security and strategic affairs expert. “What happened puts the government in a very embarrassing situation. What we saw was a huge attack with large numbers of fighters, and it seems that the guards of the two prisons were not able to stop such an attack,” he said. Email “Al-Qaeda claims responsibility for freeing militants from Iraqi prisons”. Feedback on “Al-Qaeda claims responsibility for freeing militants from Iraqi prisons”.